Let the GC battle commence. It’s always nice when organisers introduce a brand new stage. 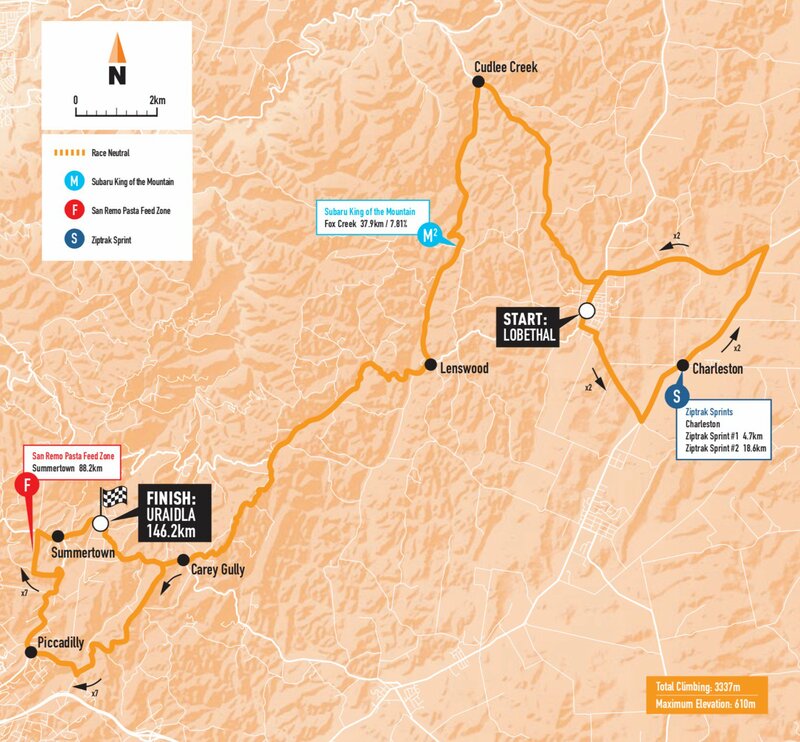 This has “classics” written all over it, with close to 3500m of climbing in around 150km. The other fun part of this stage will be the beginning, with both sprints happening in the opening 19km. Expect a crazy start! This looks fairly tough, especially in January. The circuit is gruelling, with four climbing sections. With lots of downhill bits, some of which allow the riders to bounce into the climbs, we have to wait and see how selective this stage really is. As always, the riders make the stage, not the profile. If GC teams want to attack, there won’t be many riders left in the bunch at the end. Fingers crossed we’re in for an epic day. This depends who you are. Trek-Segafredo will be looking to keep a lid on things and hope that Porte doesn’t become isolated. If that happens, we’ll see lots of attacks from rival teams. As ever, teams with multiple riders in the front group have a massive advantage over the others, which is why Dimension Data will be happy. With Valgren, O’Connor and Slagter, they should have three riders in the final group, which would be huge! 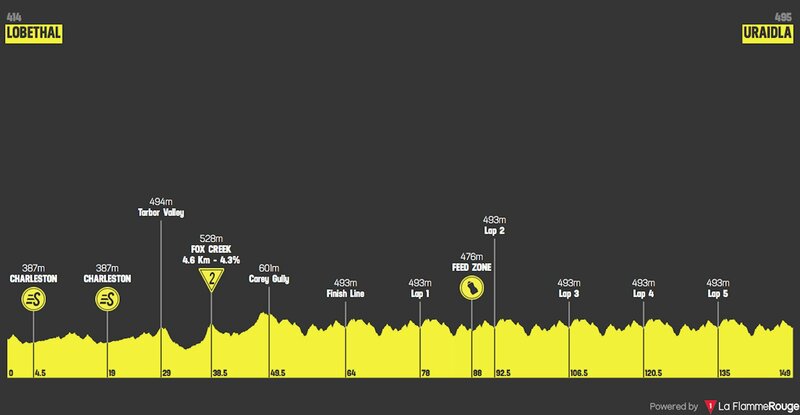 I expect to see a fairly typical stage, with the pace increasing on each lap and groups of riders dropping off in the last three circuits. This is where we’ll see the attacks start to flow and the GC riders come to the front. The main riders will save their attacks for the final lap, you need to wait until most domestiques have been dropped. 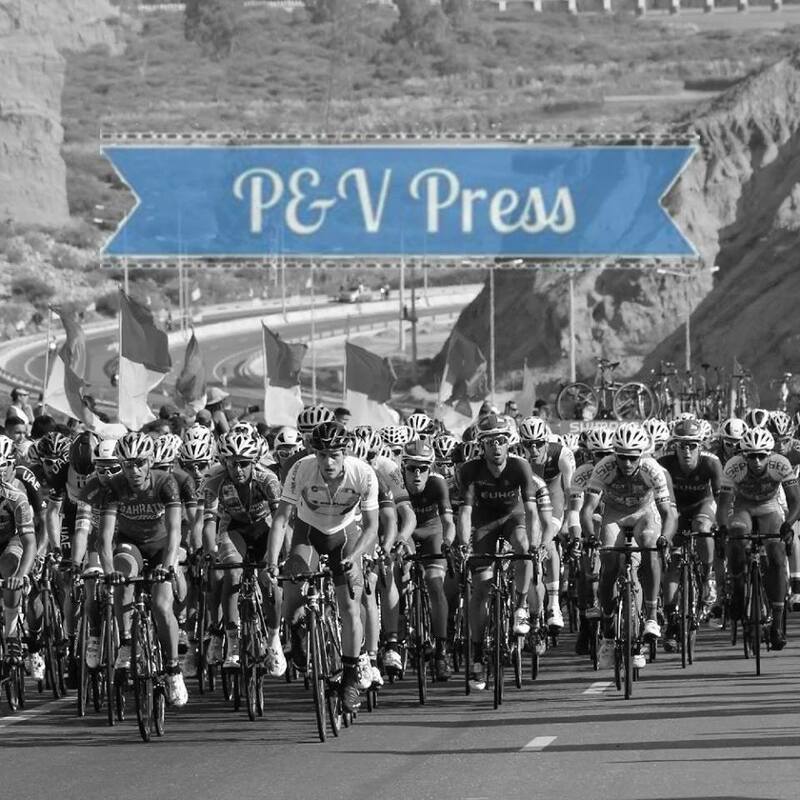 There is every chance of a small group escaping the peloton and staying away to the finish. Teams with a sprinter will hope for a controlled stage, it’s the only hope for the quicks, but I can’t see this happening. Then we have CCC. Not many would have expected Paddy Bevin to be sitting with a 15 second advantage to his GC rivals, this is an incredibly strong position to be in. They don’t have a team capable of supporting Bevin deep into the race, but that won’t worry him too much. Bevin is a crafty rider and knows how to look after himself, the other teams won’t be able to put too much pressure on him. I think Bevin will ride this like any other stage, wearing the ochre jersey will not change his approach. He knows that teams like Trek will be itching to take control, he’ll sit back and let them. There is a chance of rain in the morning, which will make things feel a little better for the bunch. The clouds have to stay around all day, making the temperatures a little cooler, but we’re still talking about 36 degrees. Nathan Haas – time to see exactly where his form is. This is where he cracked in 2018, the memory of that will still be there. On paper, this is a perfect stage for Haas. He should easily cope with the climbs and he packs a fast sprint. The big question surrounds his current form, especially after his poor display at the nationals. I don’t get the impression he’s at 100%. Jay McCarthy – another Aussie who’ll love the look of this stage. McCarthy and Haas are similar types of rider, a sprint finish between them would be close. Bora clearly have a double option with McCarthy and Sagan, having multiple riders will be a big advantage in the closing lap. McCarthy should have freedom to attack, with Sagan waiting in for a sprint. The word from Australia is that McCarthy has managed to shed 3 kilograms since the Bay Crits! Michael Woods – climbs well and has a good sprint, the Canadian has the bases covered for this stage. He’s my pick for the overall win, so I expect him to be fighting for this stage. He’ll prefer stages 4 and 6 but won’t say no if the opportunity presents itself. Tom Slagter – having multiple options gives Dimension Data a big advantage. Slagter is a rider who performs well in this race, with a strong team to support him, he’ll expect a top 5 finish in this stage. We’ll have to see how their tactics unfold, but if they get it right, the Dutchman could be celebrating. Michael Valgren – a ridiculously strong 2ndoption for Dimension Data. He is here to ride in support of Slagter, but this is a stage that suits him well. Now, we all know that his targets are still a couple of months away, but the Dane will be happy to race hard and see where that takes him. Heinrich Haussler – a man on form. Riding for Bahrain-Merida, he might have to support Dennis and Pozzovivo, but I think he’ll get a little freedom in this stage. It seems that he’s refound his hunger and is determined to shine late in his career. His sprint finish makes him a very dangerous man in this stage. Paddy Bevin – after a sensational win in stage 2, the Kiwi will be feeling great! Already 15 seconds ahead of his rivals, he’ll sense a real opportunity to take even more time in this stage. He’s clearly sprinting well, but he might have to shoulder a fair amount of work in the closing lap. Bevin will have to use all of his tactical astuteness in the closing stages and hope it comes back together for a reduced sprint. If it does, he’ll be a hard man to beat. Diego Ulissi– a solid pick for in the TDU. He rarely disappoints and I expect a top 10 finish. Peter Sagan – I think his form is a little behind where it was last year. At 90%, Sagan would win this stage. I’m not sure he’s there yet. This is a tough one to predict, but I’ll give it a try. I think the teams with multiple options will try and put riders like Porte and Bevin under pressure. The success of this tactic really depends on how selective the stage turns out to be. I’ve heard a lot of riders talk this up, I’m going with a demanding day and a small peloton at the end. In this scenario, Tom Slagter will be the man across the line first, he has two exceptional teammates in Valgren and O’Connor.